Alex Napior, who earned a bachelor’s degree in biology and Spanish from Loyola Marymount University in May 2017, won a 2017-18 Fulbright award to conduct research in El Salvador. He will study biodiversity along the Acelhuate River, a historically polluted river that runs through the country’s capital San Salvador. Valuable access to professors helped make Napior a competitive Fulbright candidate, said the Sacramento native. “I built up a lot of confidence learning how to conduct research, work with professors and carry out projects outside of a classroom setting,” said Napior, who started working with professors his freshman year. “This Fulbright is just as much Dr. Carmona’s as it is mine,” he said, in reference to Victor Carmona, associate professor of biology, who was Napior’s main mentor for the Fulbright. Napior traveled with Carmona twice to El Salvador where Napior presented research posters at the country’s First National Conference on Climate Change in 2014, and at the Conference on Engineering and Architecture in 2015, hosted by the Universidad Centroamericana Jose Simeon Canas. Earlier this year, Napior, who is also part of the university’s Honor’s Program, won an award for “Best Poster in Genetics” for his research looking at plant-microbe interactions at the West Coast Biological Sciences Undergraduate Research Conference. His mentor on that project was Nancy Fujishige, assistant professor of biology, with whom he has conducted molecular research over the past two years. Napior was also awarded the Biology Department’s Alan R. Seydoux Memorial Award in Marine and Field Biology, awarded to a graduating senior judged to be most enthusiastically involved in marine and field activities. As a Spanish double-major, he helped translate the book “I Accuse You Pinochet” into Spanish alongside Alicia Partnoy, associate professor of modern languages and literature. Napior is listed as a contributor on the book. “My LMU experience is a result of professors reaching out and giving me opportunities,” he said. Since his freshmen year, Napior has also been involved with Ballet Folklorico de LMU – a group of students who come together to celebrate the richness of Mexican folkloric culture. He served as president for a year and a half. Napior knows pursuing a Ph.D. is in his future. 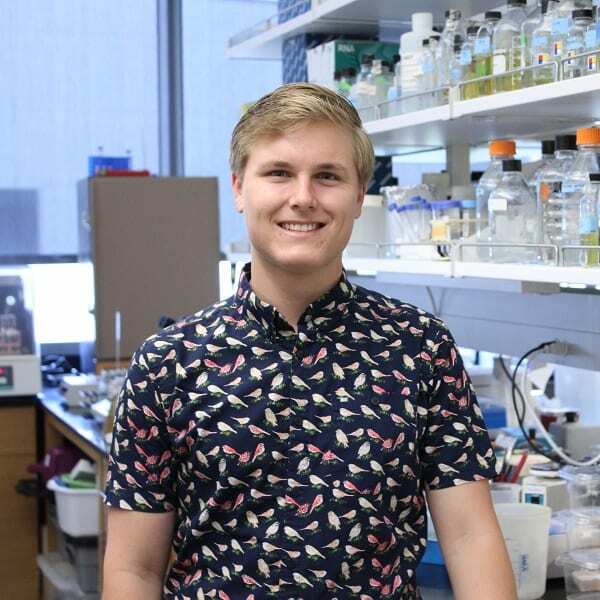 “It could be an area where public health meets ecology, or studying how the health of an ecosystem affects a community’s lives.” He is also interested in plant biology and plans to use his year as a Fulbright Scholar to help him decide what field he will pursue.